Life has been busy and a little bit crazy work-wise, but appears to be evening out over all (which is a big relief for me). After a summer of working very long hours, I now don’t have to do that anymore quite so much and this frees me up for doing other things – like reading! Despite this recent freeing up of my time, I don’t have a long list of finished titles to display with abandon before you yet. My recent trip to Vermont was super fun, but didn’t allow for that much reading time and I mostly slept on the plane ride. (See Work Schedule in above paragraph.) 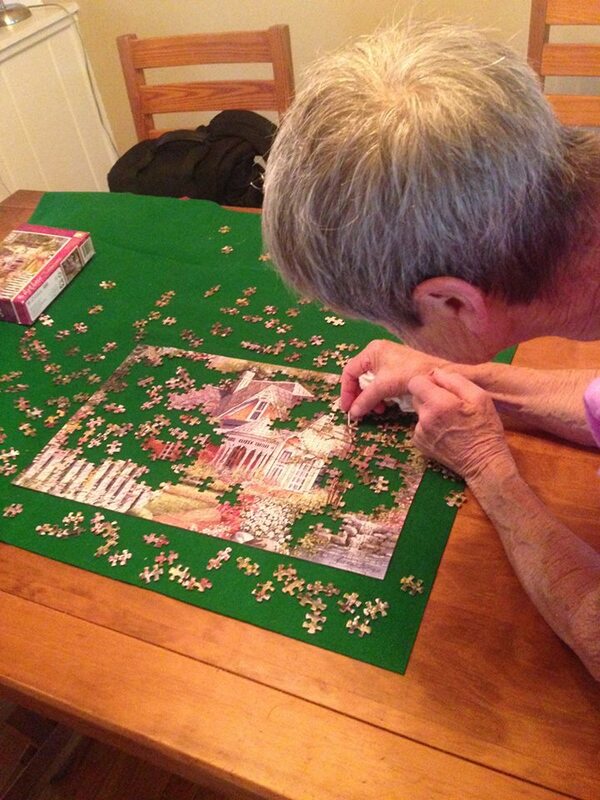 My mum is in town from England, and so we have been having lots of chatting and a big focus on finishing what could really be considered a Top Ten finisher in “Hardest Jigsaw Puzzle in the World.” Fun but wow – pretty challenging. We did manage to fit in a couple of bookshops (of course) such as the Vermont Book Shop (great indie store) and we completed the Robert Frost Interpretive Trail in Middlebury (which is a really pretty town, btw.) Although I enjoy some poetry, I wasn’t that familiar with Frost (apart from the “road less traveled” one), and so we really enjoyed this particular trail which featured some of his works posted by beautiful vistas. It was a super idea to combine written word with amazing natural scenery and this was the first time that I’d seen this done in a national park. (Kudos to them for doing this.) I hadn’t realized that (a) Frost was quite a modern poet, (b) he worked for the National Parks system, and (c) some of his work is really good, so this was an unexpected surprise. By the way, enormous kudos should go to Charlotte-Douglas Airport for being my favorite airport ever. It’s clean, it’s environmentally friendly and best of all, it’s super-quiet. There are TV screens, but they don’t have sound (only captions) and unbelievably enough, there are no blaring overhead speakers announcing boarding groups and gate changes (and yet people still made their flights without any problems despite such quiet communication). 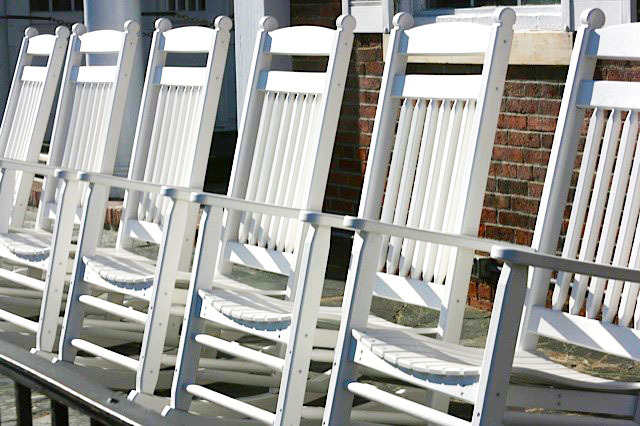 Some of the ubiquitous Adirondack rocking chairs that we had lots of fun sitting in during our stay in Vermont. This entry was posted in books, general, travel, vermont and tagged American, Books in general, photography, Reading, travel by lizipaulk. Bookmark the permalink.